If you live in the country, you need an ATV to navigate the adventures your surrounding environment provides. There’s far too much fun to be had in far too many different horizons to not have your very own all-terrain vehicle. 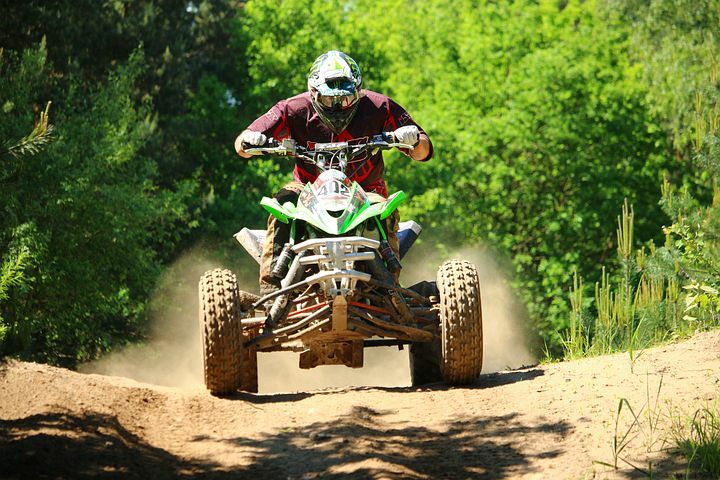 The cost of owning your own ATV may not be a total you have just lying around the house, but there are plenty of different ways to draw a little extra money. Find extra funds, and save for your next badass outdoor conquering machine. Here are a few finance tips to help you along your way. As long as your budget can handle a small payment each month, you could totally find a dealer that will offer financing for your coveted ATV purchase. You could skip the pain of saving altogether, and head straight towards the fun. You may also have the ability to obtain straight out financing from your bank. Depending on your reputation with the bank and your financial history, it is possible to secure bank backing on your all-terrain purchase. You may get a little crafty in your spare time, and there’s no reason you should keep those creations all to yourself. Share your passions with the world, and make a few bucks along the way. If you enjoy making hemp jewelry or painting, then you might find a good outlet through Etsy. Shutterstock is a great spot for selling your photography, and there are other specialty sites to help you capitalize on your talents/hobbies. You don’t have to be a rocket scientist to pick up a little extra money online. Not only are there several platforms available for simple jobs like taking surveys, but there are also plenty of mobile applications that will pay you. Field Agent is a phenomenal mobile app that will pay you for your services within 24 hours. If you need some cash fast, this is the app for you. If you have a spare bedroom sitting empty in your home, why not make a little extra money renting it out to travelers? You’re saving for your grand adventure, and you can use other people’s adventures to fund your excursion. Consider what it takes to become an AIRBNB host, and make money while you sleep. You could consider selling your old ATV for a good down payment on the new one. It may not bring in enough money for the entire purchase, but selling an older vehicle to purchase a new one is a very common method of upgrading.